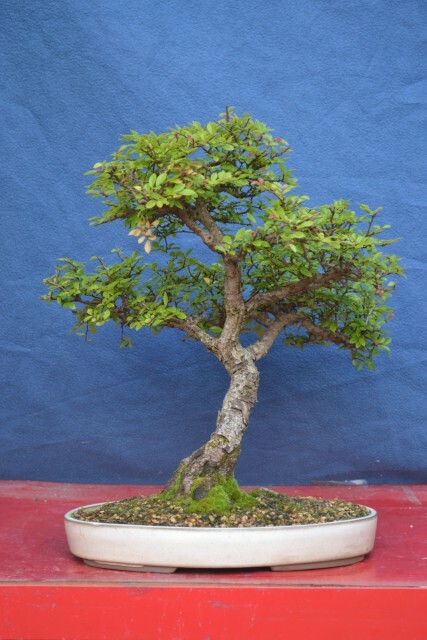 It’s been two years since I lifted this hornbeam that had a new nebari grown after applying a tourniquet. I decided to remove a panel 0ff the box to check on the rootmass. It hasn’t been draining too well recently so I decided to put it into a spare Ian Bailie pot that I thought suited it really well. The air layer from last year was chopped off and potted first. 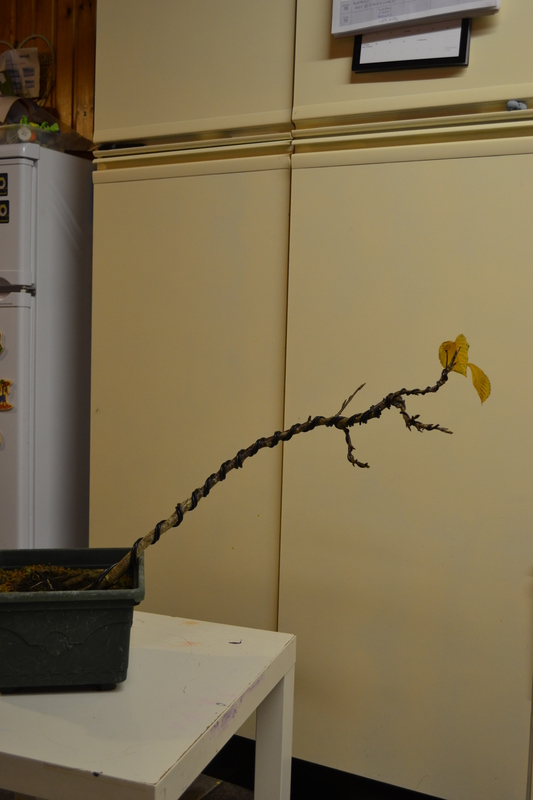 Then the nebari checked for the best front, taking into account the trunk and existing branch placement. The above front had the best nebari but the sacrifice branch is facing the viewer and the trunk kinks halfway. I decided to rotate it but I’ll wait and see how the threadgraft performs this year. I suppose it’s not a huge decision now as I can easily turn the round pot! Future actions: Feed well to encourage the threadgraft and keep upper branching short. Another free day out courtesy of our National Trust membership. This time to Castleward Georgian mansion and estate. The family are definitely benefitting from the great, mild weather. We were there for a ‘Pumpkinfest’ event aimed for the kids so I only managed a few snaps of interesting trees as I went by. Click on the slideshow images. Here’s shots of some winning trees and others from the Belfast Autumn Flower Show. 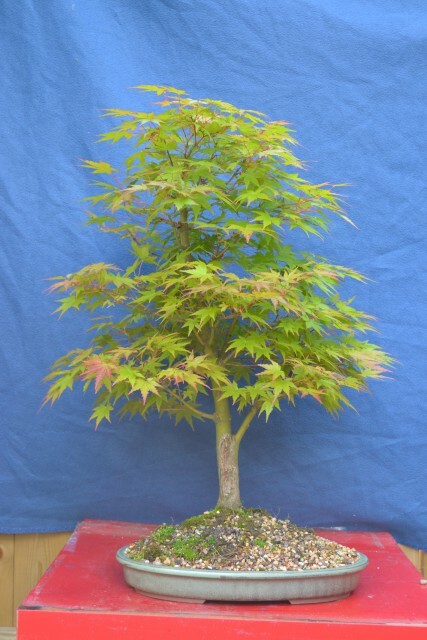 Over 60 trees were entered, I believe, and not much space to exhibit them in and also no backdrops so not ideal but the guys who set it up still made it look terrific – well done Ian B and Graham in particular. I really enjoyed being part of it and also viewing the display. The judge deserves a lot of credit also for providing constructive feedback for each placed tree in each class – I was a bit nosy and read all of the cards, making the most of this as a learning experience. A lot of great trees entered! Following on from the last post, here are more trees/material from the display bench in the garden. 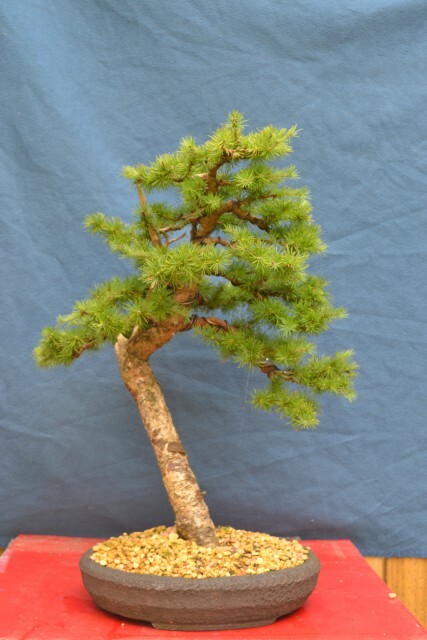 A tall Japanese Larch bought as raw material four years ago and continuing to develop foliage pads. 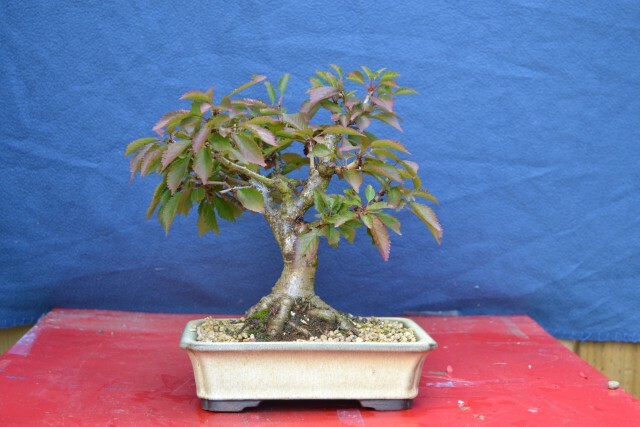 In a bonsai pot for the first time earlier this year and recovering from substantial root reduction. Wiring still on thicker branches – no evidence of biting into the bark despite being on for nearly a year is proof that the repotting took its toll on the health of the tree this year. There has been extension growth though so I’m not too worried. It’ll be protected over the winter. The Fuji Cherry as detailed in an earlier post here. 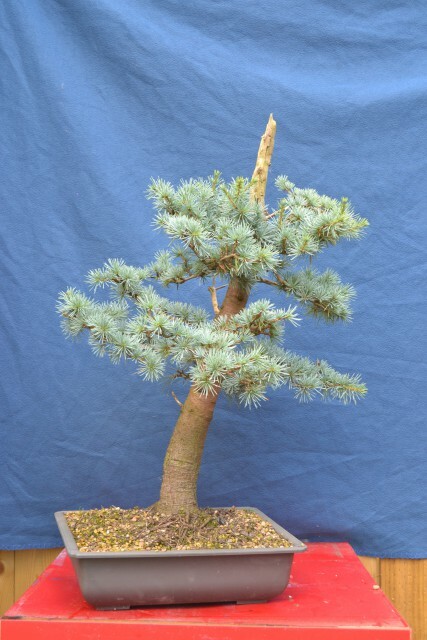 This large Blue Atlas Cedar was repotted into this shallow mica training pot earlier this year and after dropping nearly all of its needles has recovered with a new flush and a little extension growth. I plan to continue to leave it alone, protecting it over the winter, until hopefully signs of vigour return and it could be styled next year. 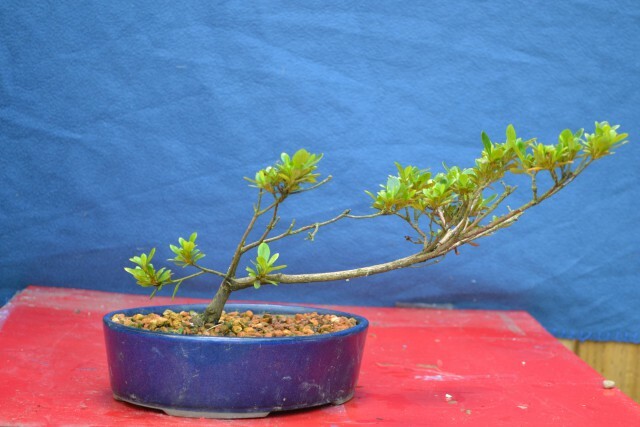 A pink flowering shohin azaelea that was recently pruned. This is my favourite at the minute. Needs a bit of wiring and more foliage developed. I’d like to put it into a shallower pot of a different colour next year. Any suggestions? 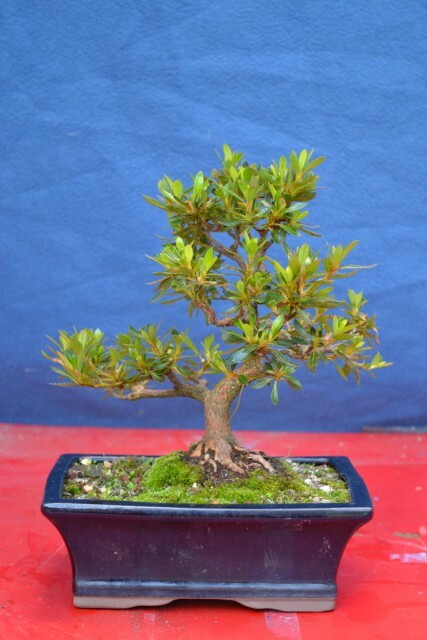 This azaelea (or dwarf rhoddodendron?) was dug up this year from the garden. I cut this from the rootball of a much larger shrub. I thought it made a nice image in a shallow pot. Will start work on it next year. I thought I’d share photos of trees that are on my bench. These are perhaps some of the furthest along in terms of development and keep me interested in the hobby while I wait for my material ‘from scratch’. 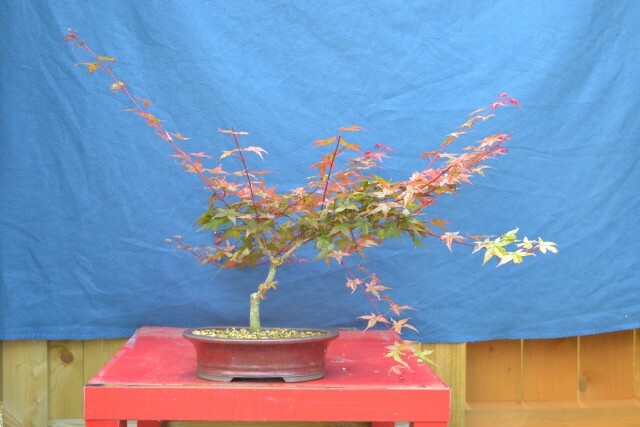 This Japanese Maple was acquired last year from someone affiliated with the NIBS who was selling his trees. It’s recovering from a substantial root prune that was performed back in Spring in order to get it into the new shallow pot. Not much extension growth this year so I have left it untouched and placed it in semi shade protect it. It’ll need to be well protected this winter and hopefully will be ready for styling next year. 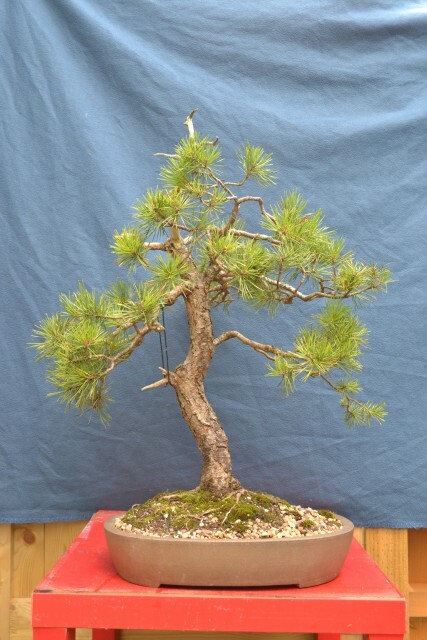 A mature Scots Pine which has struggled with ill health in the past but has recovered. Backbudding required to fill out foliage closer to the trunk. This Deshojo maple was bought online five years ago. It was a thin sapling at the time but has grown some in the ground. It struggled in the clay soil of my garden so I lifted it this year and I have seen the most growth since I bought it. Unpruned to aid recovery and promote vigour. Ready for a first styling soon but a long way to go yet to get a shohin bonsai out of this..
One of my first trees bought four years go from an online supplier. Will get a tidy up when leaves hopefully drop in a couple of months.